It could well revolutionise the way we harness the power of the sea and even some of our larger rivers. A new tidal fence development planned for the Bristol Channel, a snip at just over £140 million, shows how we are beginning to surge ahead with this particular renewable technology. Having long taken a back seat compared to main stream approaches such as solar and wind power, the development from Kepler Energy (via Oxford University’s engineering department) marks another, positive step forward. The initial installation could provide as much as 30 megawatts that would supply power for some 30,000 homes. The great news is that the technology is flexible and durable enough to be used in much larger constructions if this single experiment is a success. 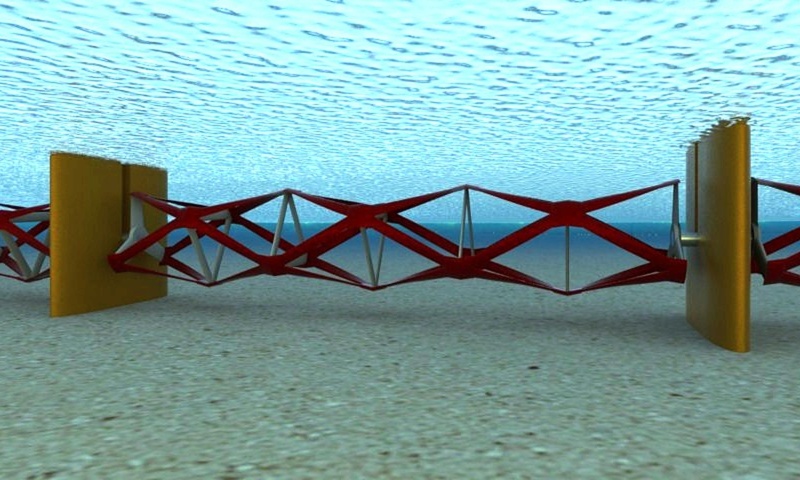 The Bristol Channel project is set to be approximately 1km long but there is no reason why we shouldn’t see extended tidal fences that stretch over 10km and eventually provide power for over a quarter of a million homes. Think of a water mill underwater and you won’t be far off the mark when you try to understand how the system works. Its full title is the Transverse Horizontal Axis Water Turbine and the benefit of the technology is that it can sit in much shallower water than other devices that have been developed to harness the power of our coastline. Kepler Energy was formed in 2010 and came out of research and development by scientists at Oxford University who have, in part, been financed by the Technology Strategy Board. The tidal fence is important because it can be deployed in small units and has a large potential for utilising the power of tides at low levels. In the past, research has treated tidal power a bit like wind power, with the use of large, turning turbines that create the energy for electricity production. The team at Kepler Energy started by incorporating a better understanding of the ways in which the movement of air and water are subtly different and how we can find alternatives for producing electricity. One of the major hurdles the scientists had to overcome was to create tidal fence that was strong enough to cope with heavy currents and could be readily duplicated. The tidal energy industry has had its problems over the years, not least in getting investment into technology that is often expensive to test and implement, particularly at the research and development stage. Should the tidal fence in the Bristol Channel prove successful then we could start to see a genuine growth in this type of renewable having a genuine impact on our national power supply. We are already looking at the development of a tidal lagoon in Swansea Bay which has just been given the tacit go ahead and will cost in the region of £1 billion. Whilst a validation report is still to be completed for the Swansea project and there are concerns about the environmental issues, it seems that development in the south east of the UK is focused strongly on how we can finally utilise the power of the waves.